The Kansas City Royals are excited to announce the Inaugural Career Fair taking place inside the Diamond Club at Kauffman Stadium on Friday, April 29, 2011 from 10 a.m. - 1 p.m. Looking for a job, internship, or a career change? Join the Kansas City Royals and other business leaders for a unique networking opportunity to connect with representatives from a variety of corporate businesses and organizations. Fees and Game Information: $13.00 Career Fair Registration. Cost includes admittance to the Career Fair and a ticket to the Royals vs. Twins Game at 7:10 p.m. on April 29, 2011. For more information on the Royals Career Fair please contact Laurie Ambroson at (816) 504-4390 or email laurie.ambroson@royals.com. The Big 12 Conference announced today the 2010-11 Big 12 Swimming and Diving postseason awards, and two Tigers were selected to receive postseason honors. Jamie Sweeney received the honor of Big 12 Women's Diving Coach of the Year for the first time, while freshman Loren Figueroa also nabbed her first Women's Diver of the Year honor for the conference. With one event left in the heptathlon at the 2011 Indoor NCAA Championships, senior Lars Rise (Trodheim, Norway) found himself in fourth place. Rise was sitting in the middle of a logjam - 62 points separated the second place and seventh place competitors. Rise ran a huge five-second personal-best of 2:40.92 for 863 points in the 1,000m run to jump over two competitors and finish the event as the national runner-up. 3rd Annual Tiger Trot 5K Run/Walk Benefitting True North 9:00 A.M., Sunday April 17, 2011 at Memorial Stadium $25 per person or pledge a dollar amount per mile* (Donations also Accepted) A portion of the proceeds will benefit True North in Columbia, Mo. T-Shirts and Prizes for participants. Please contact Shaunna Daugherty @ daughertys@missouri.edu with any questions and for registration details and visit WeAreMizzouSoccer.com for further detail. 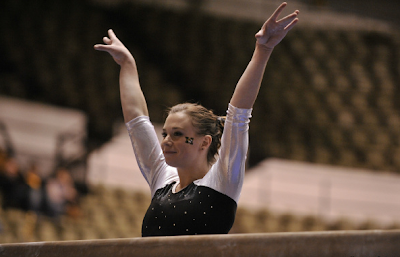 Six Missouri Gymnasts have been honored by the Big 12 conference for their academic achievement over the past year. Five Tigers have been named to the 2011 Academic All-Big 12 first team and one to the second team. Juniors Mary Burke and Allie Heizelman earned first team honors along with sophomore teammates Sandra Ostad, Lauren Swankoski and Tori Howard. Senior Alex Gold was named to the All-Big 12 second team as well. Dominique Bouchard posts lifetime best finish in first event of the competition, and qualifies for World Games in the 200 back. Bouchard qualified for the World University Games with her bronze medal finish in the 200 back Saturday. She finished the event in 2:10.30, just ahead of fellow Missouri swimmer Lauren Lavigna, who finished fourth in 2:10.80. Bouchard will represent Canada at the Games held in August. Lavigna also led off a relay with her club team, earning a gold medal and setting a new Canadian record. Jace Long (Dixon, Mo.) led Missouri Golf to its third consecutive victory of the spring season as he shot a second-round 67 and an even-par 72 to win the 2011 Arkansas-Little Rock First Tee Classic on Tuesday afternoon in Little Rock, Ark. The 2011 First Tee Classic was played at the par-72, 7,326-yard Chenal Country Club. The victory was Long's second straight for Head Coach Mark Leroux's club. Long won the Jackrabbit Invitational on March 15 in Las Vegas. Junior Dom Bradley picked up two wins to secure third place while senior Todd Schavrien finished in sixth as the Tiger wrestling team wrapped up the 2011 NCAA Championships. Bradley is the second heavyweight All-American in program history, joining two-time honoree and National Champion Mark Ellis. Bradley finished the year with a 30-4 record. Schavrien finished 30-9 in his senior season, and wrapped up his career with an 86-44 record while earning his first ever All-America honors along the way. LINCOLN, Neb. - The Mizzou track and field team wrapped up competition at the 2011 Big 12 Indoor Championships on Saturday (Feb. 26) and got huge performances from several student-athletes, including Lars Rise (Trondheim, Norway) and Laura Roxberg (Overland Park, Kan.) as both finished as the runner-up in their respective events. Rise took second in the heptathlon with a personal-best point total of 5,756 points while Roxberg took second in the 1,000m run at 2:45.56. In all, the Tigers had four second-place finishers at the meet and saw 14 additional athletes earn All-Big 12 honors in 11 different events on Saturday. Rise gave the Tigers a great presence in the heptathlon throughout the meet as he set new personal-bests in the pole vault (4.70m), high jump (1.94m) and came within just 0.25 seconds of a new personal-best in the 1,000m run (2:44.60). He needed every single one of those seconds in the 1,000m run as he bested third-place Mantas Silkauskas of Kansas State by just five points in the overall competition. Rise's point total of 5,756 is a new-personal-best and came after he had his best first day ever in a heptathlon on Friday. He earns All-Big 12 honors for the sixth time in his career and has earned a spot at the NCAA Championships as his mark would have ranked second nationally heading into the weekend. His point total is an automatic qualifying mark for the NCAA Championships. "Lars was thrilling today," associate head coach Dan Lefever said. "Obviously this was a high-caliber national field and he now stands among the best in the NCAA. He ran a great race in the 1,000m for an excellent finish to two hard-fought days of competition. I am really proud of him." After totaling 3,243 points and ranking third after day one, Rise opened his second day with a clocking in 8.45 in the 60m hurdles, good for 872 points. He then set an indoor personal-best in the pole vault - an event that lasted nearly four hours - at 4.70m (15-5), earning him 819 points. He closed his day with a great effort in the 1,000m run by clocking in at 2:44.60, earning him 823 points, helping him edge Silkauskas by five points. Roxberg nearly gave the Tigers their second-straight 1,000m run champion as she finished as the runner-up in the event by just 0.16 seconds with a personal-best time of 2:46.56. Roxberg led throughout most of the race but was passed late by Texas' Marielle Hall. Either way, the second-place nod for Roxberg is her best finish ever at a Big 12 Championship and is her second-straight All-Big 12 honor in the event. The sophomore will likely try and qualify for the NCAA Championships in the mile at next weekend's NCAA Qualifier. "I am really happy with how I did - I was happy with the way that the race played out in general," Roxberg said. "I felt like I went out strong and ran really tough. Honestly, I believe I did everything that I could out there today in order to win that race, so I am pretty proud with the end result." The men also had a standout performance in the 1,000m run as Aaron Dixon (Lee's Summit, Mo.) placed third overall with a time of 1:25.18, just off of the event-winning time of 1:24.67. The race was one of the most closely contested races of the day as the top six finishers all placed within less than two seconds of each other. The race was a sense of redemption for Dixon, who was tripped up while running in the event at last year's Championships despite entering as the top seed. He has now run his two best times in the 1,000m run on the track at Nebraska and is an All-Big 12 honoree in the event this season. Sophomore shot putter Corey Jones (Boonville, Mo.) had a great meet as well, taking home All-Big 12 honors for the first time in his career with a sixth-place nod in the event after throwing 17.49m (57-4 ¾). Jones came into the Championships as the No. 9 overall seed, but exceeded those expectations with the sixth-place nod. He was ninth at the Big 12 Championships a season ago and improved by three spots this season. Freshman Tre Chambers (Colorado Springs, Colo.) also had a good day, following his historic performance on Friday. As the only Tiger ever to qualify in for both the Big 12 60m and 200m dash finals in the same year, Chambers began his day by finishing seventh in the 60m dash with a time of 6.83, earning his first All-Big 12 honors. He followed that mark with a seventh-place finish in the 200m dash after clocking in at 21.67, which was also third in his heat. He scored for the Tigers in both of his events, doing so as a true freshman and is an All-Big 12 honoree in both events. Rounding out the scorers for the Tigers on day two of the championships were Blake Irwin (Bettendorf, Iowa) and Mark Hughes (Center, Mo. ), who both placed eighth in their respective events. Irwin clocked a time of 1:56.66 in the 800m run while Hughes was paced at 1:12.10 in the 600-yard run. Hughes earns his first All-Big 12 award with the finish while Irwin, who is the defending Big 12 Outdoor 800m Champion, earns All-Big 12 honors for the sixth time in his career. The women's 4x400m relay - comprised of Leslie Farmer (Jefferson City, Mo. ), Lana Mims (Tulsa, Okla.), Layne Moore (Emporia, Kan.) and Sierra Gant (Wichita, Kan.) - also earned All-Big 12 honors as the foursome clocked in at 3:47.29, good for eighth overall. The men also took eighth for All-Big 12 honors with a time of 3:15.09, earning All-Big 12 honors for Jon Hughes (Center, Mo. ), Chris Davis (Riverdale, Ga.), Tucker Bounds (Columbia, Mo.) and Dixon. Stacy Swineburg (Camdenton, Mo.) and Brooks Mosier (Lee's Summit, Mo.) just missed All-Big 12 honors on Saturday as well. Swineburg took ninth in the women's high jump with a top clearance of 1.69m (5-6 ½) while Mosier also took ninth in the men's shot put at 17.05m (55-11 ¼). Freshman Jill Rushin (Jackson, Mo.) just missed All-Big 12 honors in the women's shot put as well with a personal-best toss of 15.20m (49-10 ½), placing 10th overall. 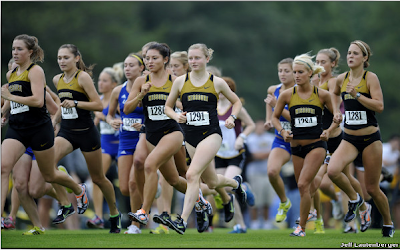 Mizzou's men finished the meet in ninth place with 40 points while the women finished 12th with 19 points. Next up for the Tigers will be their final chance to qualify for the NCAA Championships as they will head to the NCAA Qualifier at Iowa State next weekend. 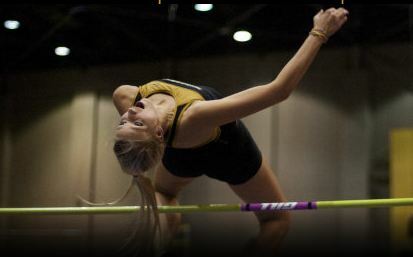 Mizzou will then gear up for the NCAA Indoor National Championships on March 11-12. For all the latest on Mizzou track and field, stay tuned to MUTigers.com and follow the team on twitter @MIZ_TrackField. Austin, Tex.— In the first final of the night, Dominique Bouchard made history for Mizzou, winning the conference title in the 200 back in 1:52.02. Her time not only won her the event, it set a meet record and a new Big 12 Conference record, topping the previous record of 1:52.35 she set earlier this year. 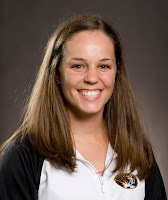 Bouchard’s win is the first ever championship for Missouri in the 200 back, and the first swimming event championship since Kayla Durnil took the 200 breast title in 2009. It is only the fourth women’s swimming championship in school history. Bouchard was also a member of Friday night’s third-place 400 medley relay, which set a new University record time. She also placed fifth in the 100 back and sixth in the 200 IM earlier in the meet. When combined with Loren ‘Figgy’ Figueroa’s 1-meter diving championship, won last night, Bouchard’s victory is even more historic. Bouchard and Figueroa’s wins mark the first time in school history the Tigers have won multiple events at the Big 12 Championships in the same year. Previous wins have come one at a time—Matt Ferrarelli in 2001 (400 IM), Mariona Costa in 2002 (100 breast),Rebecca Wolfe in 2003 (200 fly), Kayla Melnychuk in 2008 (platform dive), and Kayla Durnil in 2009 (200 breast). Last night, Loren ‘Figgy’ Figueroa brought Missouri something no other diver ever has-- a Big 12 Championship in the 1-meter dive. Her score of 335.15 was not only enough to win her the championship, it also set a meet record by more than 5 points. The Championship is the first ever for Missouri in the 1-meter dive, and just the second diving championship overall for the school. Kayla Melnychuk previously won the platform diving championship in 2008 with a 284.00. Figgy took second place Thursday night in the 3-meter dive as well, scoring 340.40. Please remember to fill out TEAM community service forms in 123 MATC to receive points! MU QB Blaine Gabbert works with QB coach Terry Shea to prepare for the upcoming combine. A year ago Missouri assistant track coach Dan Lefever wasn’t sure if he’d ever see Brian Hancock pole vault again. Years of vaulting and weightlifting had punished the senior All-American’s lower back, causing two stress fractures in his L5 vertebrae. The prescription was just as painful: No pole vaulting for a year. That meant two seasons on the sideline — the 2010 indoor and outdoor campaigns. “We weren’t really sure if he would be able to get back to full form,” Lefever said yesterday. That chapter in Hancock’s MU career explains yesterday’s euphoric celebration inside the Hearnes Center fieldhouse. On his second attempt at 17 feet, 7¾ inches at the Missouri Collegiate Challenge, Hancock cleared the bar but tapped it just enough for a wobble, leaving the crowd breathless as he watched from the mat below. “I clipped it a little bit, but I thought I had a shot,” he said later. He did. 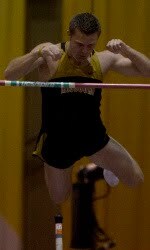 The bar snuggled into place on the standard for a new Missouri indoor record. Hancock broke his own school mark in the event (17-7¼), last set during the 2009 indoor season. The record-breaking vault stands as the best by a Big 12 athlete this year and should establish Hancock as a favorite at next week’s Big 12 Championships in Lincoln, Neb. Even better for the fifth-year senior, he most likely clinched a spot in next month’s NCAA Indoor Championships. Yesterday’s mark is the seventh-best height eclipsed by a vaulter this season. Hancock hoped to treat the crowd to another broken record, but he fell short in three attempts at 18-0½. On the final attempt the bar cracked him on the head after he nicked it off the standard. But a bump on the head couldn’t spoil the performance Hancock had been chasing since his back abandoned him last year. After sitting out last spring’s outdoor season — the injury required only rest, not surgery — Hancock refined his technique last summer while gradually getting back into shape. The rest and preparation have contributed to what’s become his most productive season at MU. He wasn’t the only Missouri standout during yesterday’s meet, which also served as the American Midwest Conference championship meet. Freshman Kearsten Peoples swept the weight throw (60-3) and shot put (48-0½), while teammate Chris Holly won the men’s weight throw (61-9¾) and MU’s Corey Jones won the shot put (56-6½). Missouri’s Leslie Farmer captured the 600-yard run, setting a meet record with a time of 1 minute, 23.13 seconds, her second-best time of the season. Also for MU, Tre Chambers won the 60 meters with a meet-record time (6.84 seconds), also his second-fastest time this season. MU sophomore pole vaulter Heather Green smashed the meet record with a personal-best height of 12-6. Hey Tiger fans! We are excited to be starting up another semester of SAAC...we have a lot to look forward to! We are going to be involved in several upcoming community service projects. Student athletes will be going to visit the Veterans at the hospital on campus to show our support and appreciation for all they do for our country. We were involved with this event last year and decided we wanted to be involved again. As we did last semester, we will continue to visit the Children's hospital; going and talking to the kids and giving them various sports items (i.e. signed posters, hats, t-shirts, etc.) can really lift their spirits. We will begin a new project this semester thanks to Leslie Farmer, an athlete on the track team. She has begun "Athletes for Athletes". The goal is to bring Mizzou student-athletes and Mid-Missouri Special Olympics Athletes closer. Mizzou student-athletes will give a sports item they no longer use along with a letter expressing how this item was important to them in their athletic careers to a Special Olympics Athlete. We have been involved with Special Olympics before and would like to continue to strengthen our bond with their organization. Along with community service projects, we have an upcoming Life Skills workshop: Career Madness. The purpose of this workshop is to help student-athletes prepare for the "real world" after they graduate. We will be able to get help with our resumes, explore post-graduate options such as graduate or professional schools, learn to positively express ourselves in an interview setting, and gain insight on how social networking can both help and hurt our job searching. This workshop targets student-athletes of all ages, whether the student-athlete is a senior, will be graduating in May, and would like to do a mock interview or a freshman who needs help drafting their first resume. Academics: An academic standard of a 3.00 grade point average or higher must be maintained. Community Service: The designated student-athlete should be involved with at least one community service program. The program(s) could be a student organization on campus or within the athletics department. Leadership/Sportsmanship: The student-athlete should demonstrate leadership and sportsmanship on and off the field. The institution of the student-athletes’ on this list will be awarded $3,000 each year from Chick-fil-A for their efforts. Highlights from the Gymnastics Pink Out! Number of years competing in your sport? We went to a competition at OU my sophmore year and the mascot costume was in our locker room. One of my teammates decided to put the head of the mascot on (which is a horse's head) and walk around scaring people. It was really funny! Most embarrassing moment at Mizzou? Most embarrassing moment in the sport was my freshman year when I fell on every single pass on floor. After graduation I will be a graduate nurse, so hopefully I will find a job as a nurse! Favorite place to eat in Columbia? Come support Mizzou Gymnastics as they host Illinois this Friday at 6:30 pm in the Hearnes Center for their Annual Pink Out Meet! 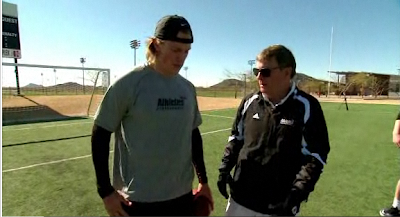 Missouri quarterback Blaine Gabbert, defensive end Aldon Smith and cornerback Kevin Rutland all received invitations to showcase their talent in the 2011 NFL Combine. The Combine with be held February 23-March 1 in Indianapolis, Indiana. 32 NFL teams will be there to view players competing in various strength and conditioning tests including the 40 yard dash, 20 yard dash, 10 yard dash, vertical jump, broad jump, 20 yard shuttle, 3-cone drill, and 225 lb bench repetitions. COLUMBIA — It's taken months, but many of Gary Pinkel's questions are beginning to have answers. First it was the draft. Who would stay? Who would go? And then it was Sheldon Richardson. He's coming. He's not coming. He's maybe coming. Why isn't he here? And as Missouri's coach and his staff went to bed Tuesday night, several questions remained. By early afternoon Wednesday, many of those questions had been answered in the form of 17 signed commitments from members of the team's 2011 recruiting class. Although uncertainty remains (the team's quarterback job is up for grabs, and junior college transfer Richardson still has not arrived on campus) things are beginning to look more clear. By the numbers, the 2011 recruiting class is far from Missouri’s typical group. The class, the smallest Pinkel has recruited at Missouri, comprises nine players from Texas, four from Missouri and one each from Kansas, Louisiana, Oklahoma and North Dakota. Having more recruits from Texas than any other state is not unprecedented in Missouri recruiting. Last year, Pinkel and his staff signed the same number of Texas athletes but had six from Missouri. However, Pinkel is aware of the shift toward heavy recruiting in Texas, and he thinks it's a positive development for his team. “Missouri obviously is the most important state, but that’s (Texas) a place where there’s a lot of athletes,” Pinkel said. Pinkel cited the team’s history of success with players from the state. Successful Texas natives like Danario Alexander, Sean Weatherspoon, Ziggy Hood and Chase Daniel are all currently playing in the NFL, and some of the team's most prominent players this season (Michael Egnew, Henry Josey, Jacquies Smith and Jerrell Jackson, to name a few) are from Texas. Pinkel said that he has “five and a half” members of his staff (five exclusively and one who spends some of his time there) recruit in Texas, and that recent conference realignment has only strengthened the Tigers’ position in the state. Now that Missouri will play each team in the Big 12 every year, the Tigers will be traveling more to the state and might even see a future recruiting boost. Although the 2011 class did not boast as many talented athletes from Missouri, Pinkel said that the team is biding its time until next year, when there will be a large number of highly ranked recruits out of the state. Even so, two of the most talked about members of this year’s Tiger recruiting class are Missouri natives: Richardson and Corbin Berkstresser. Richardson, who was originally part of the Tigers’ 2009 recruiting class, will join the team after spending two years at the College of the Sequoias in California. Although the team hoped that he would be able to be in Columbia for spring practices, Pinkel said that it is most likely that Richardson will arrive this summer. However, he said he has no doubt that the defensive lineman will eventually join the team. Berkstresser, a quarterback from Lee’s Summit, was the first member of this year’s recruiting class to sign with Missouri in June 2009. At 6 feet, 3 inches, 218 pounds, he has been compared to former Missouri quarterback Blaine Gabbert, and Pinkel said that Berkstresser could definitely play a role on next year’s team. Although current freshman James Franklin will go into spring practices as the team’s starting quarterback, Pinkel said that nothing is certain. Gabbert, Aldon Smith and Kevin Rutland have been invited to participate in the 2011 NFL combine, which will take place in Indianapolis beginning Feb. 23. Center Tim Barnes, who some analysts believe could be one of the top centers in the draft, was not invited.